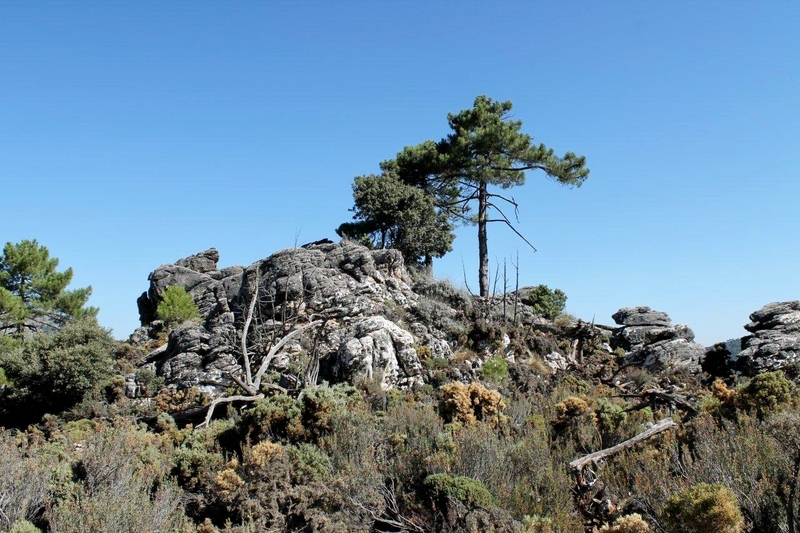 LUCERO is a prominent pyramid of baked rock that looks ten times more a mountain than nearly everything twice, three times and four times its size. The approaches from the south are long and incredibly steep. 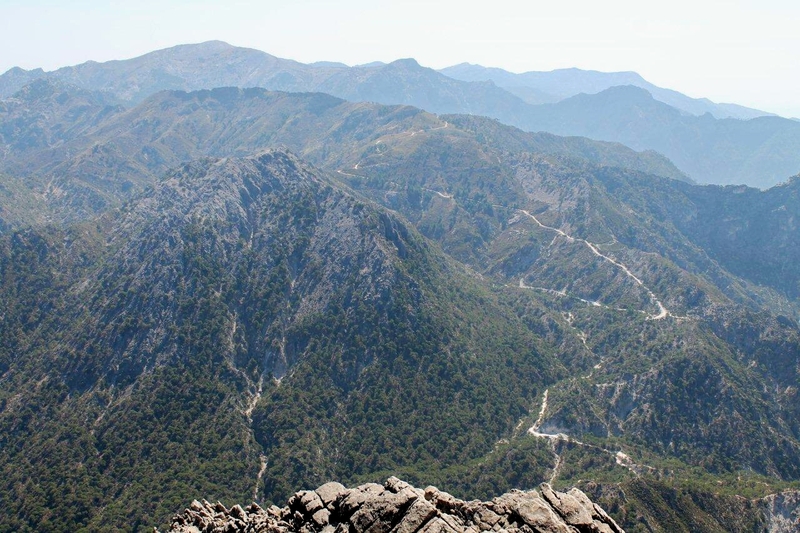 From the north, though, a 14-kilometre drive along hair-raising dirt roads gives access to a good path that delivers the most casual of walkers to the summit in just over an hour. If this sounds like a doddle, then think again. 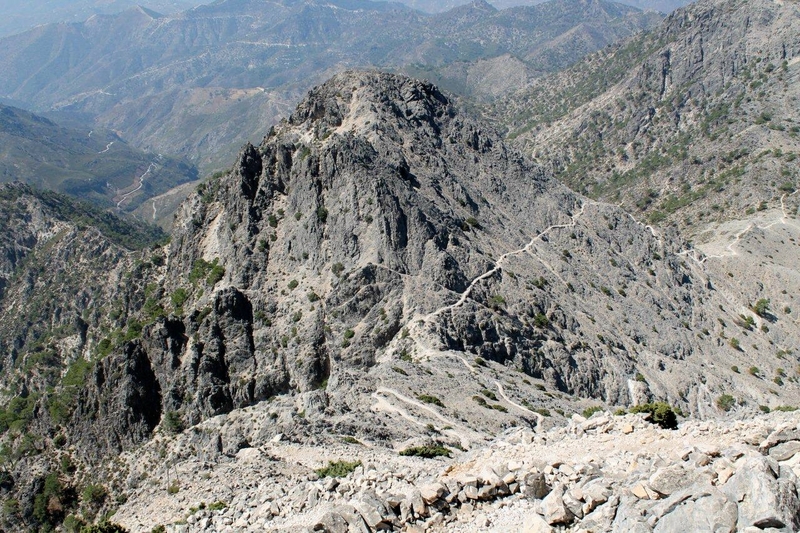 The climb to the top of Lucero (1,775m, 5,823ft) is straightforward and is graced with spectacular views. The hard part – and the scary part – is the drive . . . I leave the motorway in the early-morning sun just south of Granada at the romantically-named Suspiro del Moro – the Sigh of the Moor. 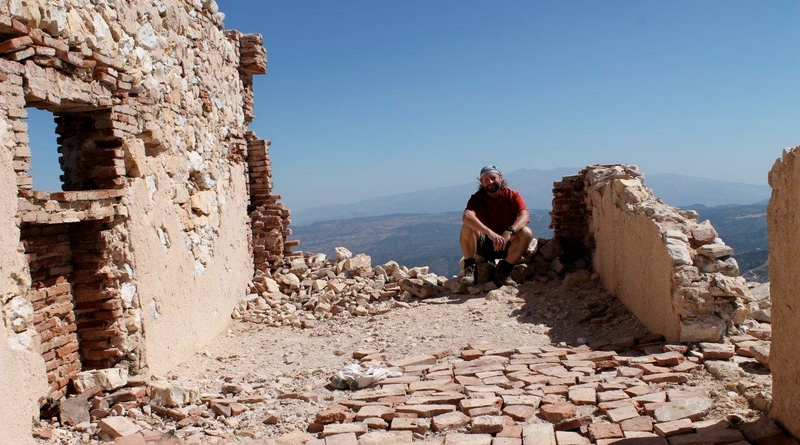 Legend has it that this is where Muhammad XII, the last Moorish sultan of Granada, stood and gazed back for the last time on the Alhambra Palace when the Christians were driving him out. 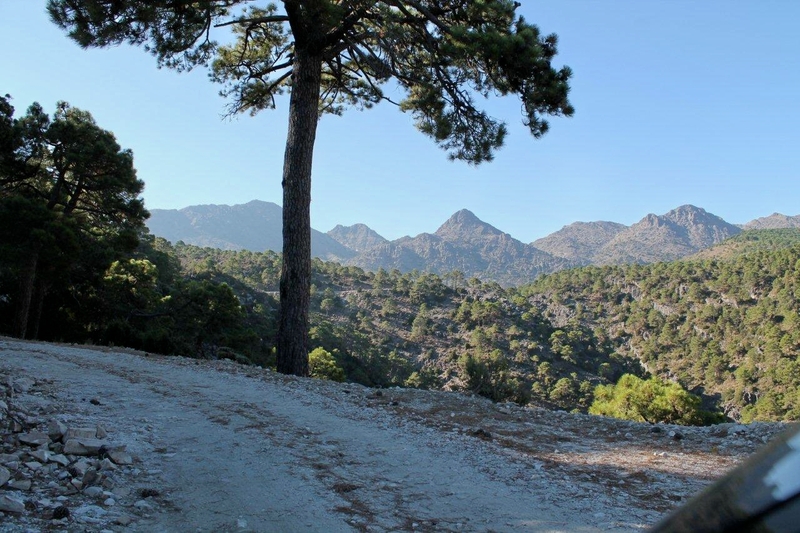 I then take to country roads through olive groves to the sleepy settlements of Jayena and Forres, before turning off onto dirt tracks at a village called La Resinera. 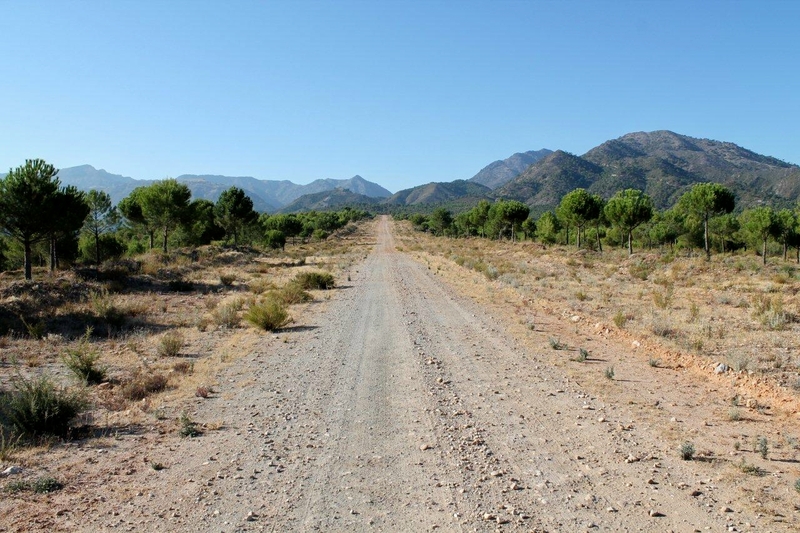 The dirt roads of Spain usually fall into two categories: those that are graded and well maintained, and those that aren’t. 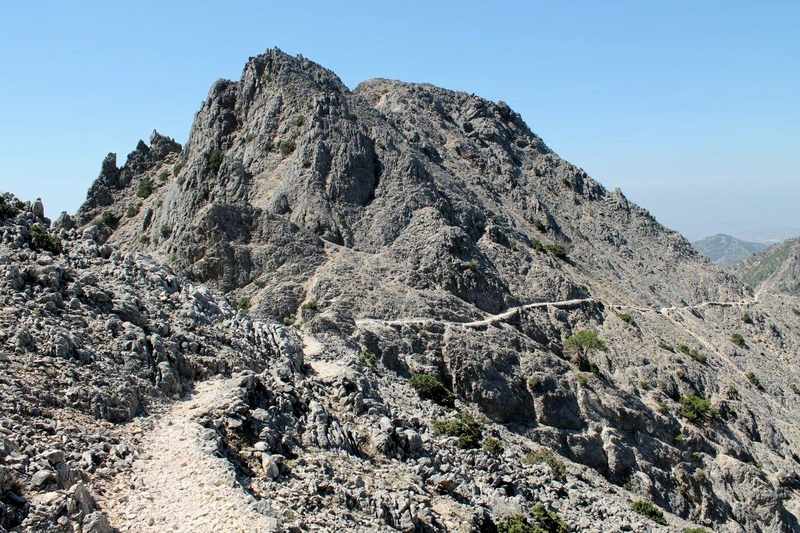 This one starts with good intentions, but after I cross a wide and pleasant plateau and begin the climb to the mountains, things deteriorate alarmingly. At the no-turning-back point, where this single-track ribbon of gravel and cobbles clings to the side of a cliff and winds itself in and out of every gully in the flank of a 1,500-metre mountain called Cerro el Cenachio, and with a bloody horrendous drop on my very immediate right, I just grip the wheel and hope I don’t meet anything coming the other way. 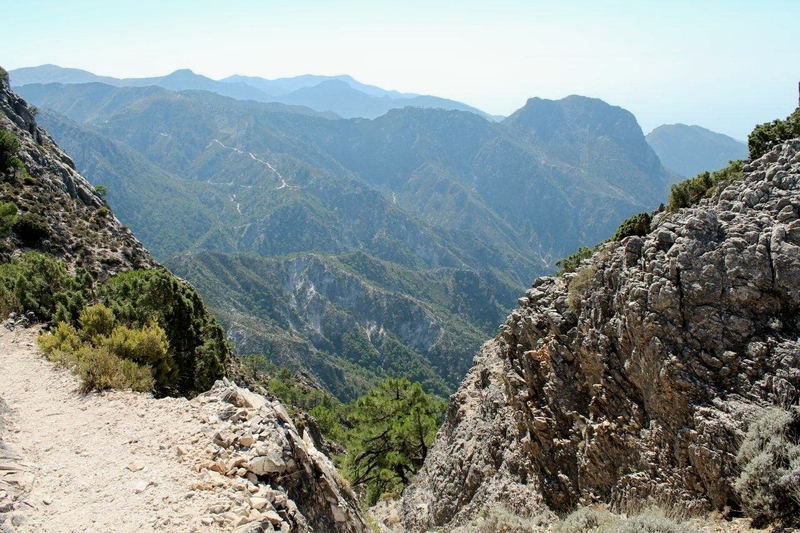 In his guidebook Walk the Axarquia, Charles Davis describes the drive as a white-knuckle ride. Thankfully, I don’t meet anything, though I do have to stop twice to roll rocks off the road. The white-knuckle section lasts for eight kilometres. This gives me time to wonder just where all that blood goes if it’s not in your knuckles. 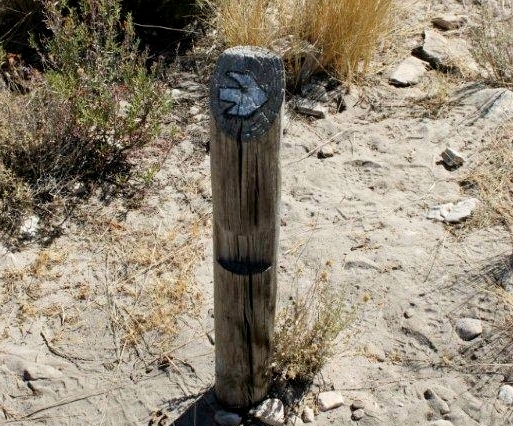 The path to Lucero starts in a dry riverbed – the Rambla de la Mota – in the absolute middle of nowhere. 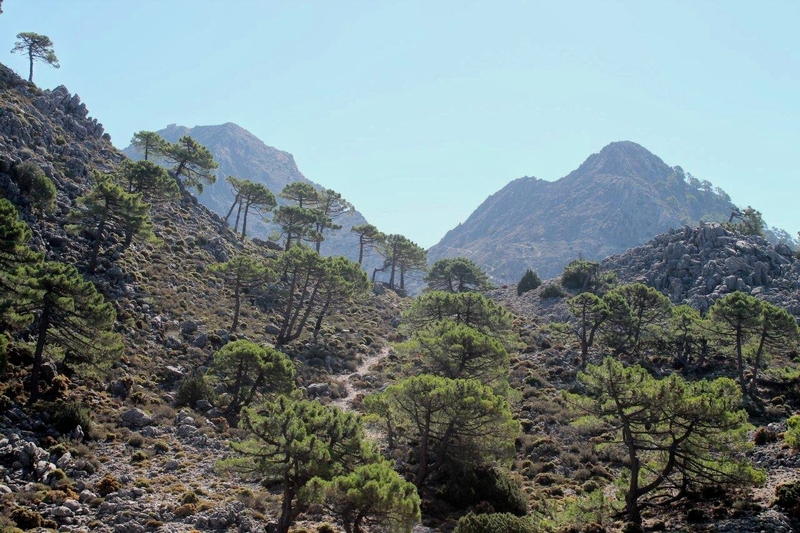 It’s a very pretty place with shady pine trees and baby ibex skipping about, but if you parachuted in here from a burning aircraft you wouldn’t have a clue where you were and you’d die. That’s the hard bit over . 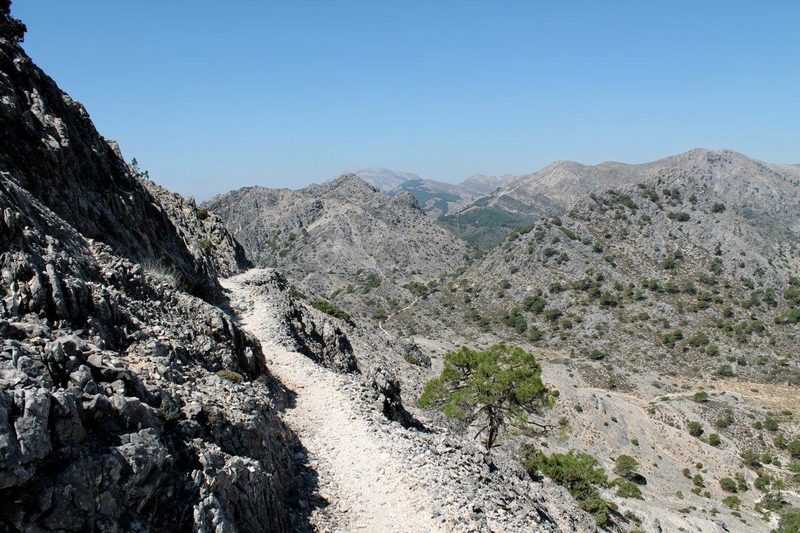 . .
As mountain paths go, it’s one of the best I’ve ever walked in Spain. 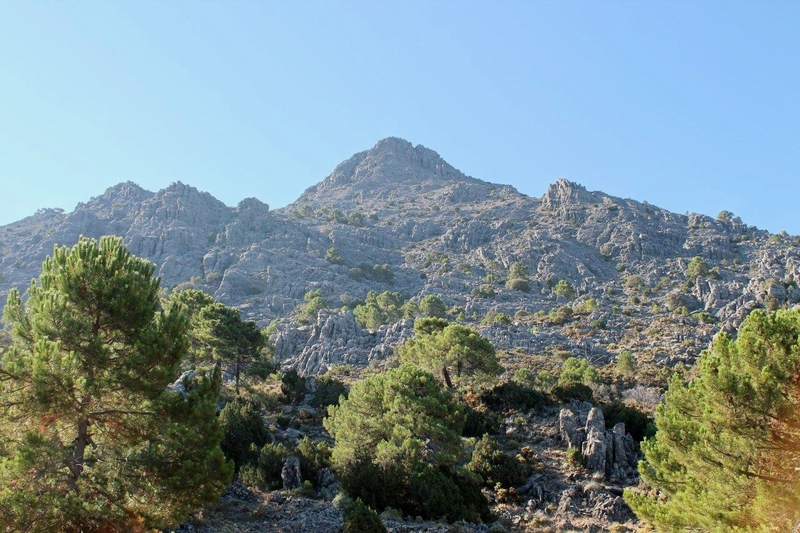 It rises up the steep and rocky flanks of Cerro de los Llanos, one of Lucero’s little brothers, in engineered zigzags like a Lakeland packhorse route or a Highland stalkers’ path. 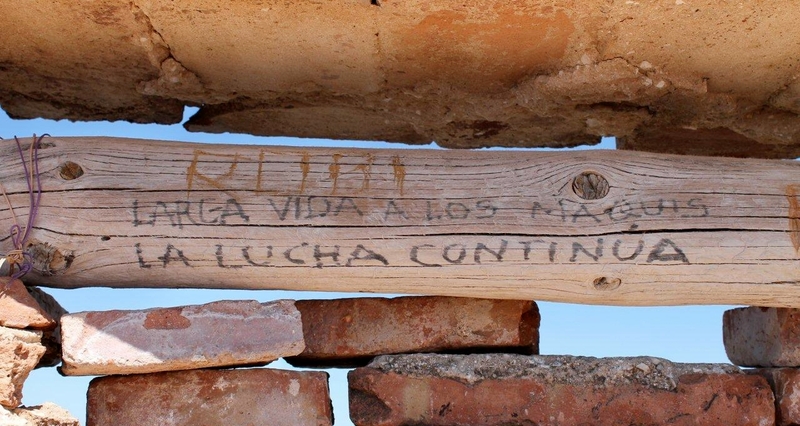 This is probably because the Civil Guard built a lookout post on the summit of Lucero to spy on the maquis during the guerrilla war against Generalissimo Franco in the 1940s and 1950s. 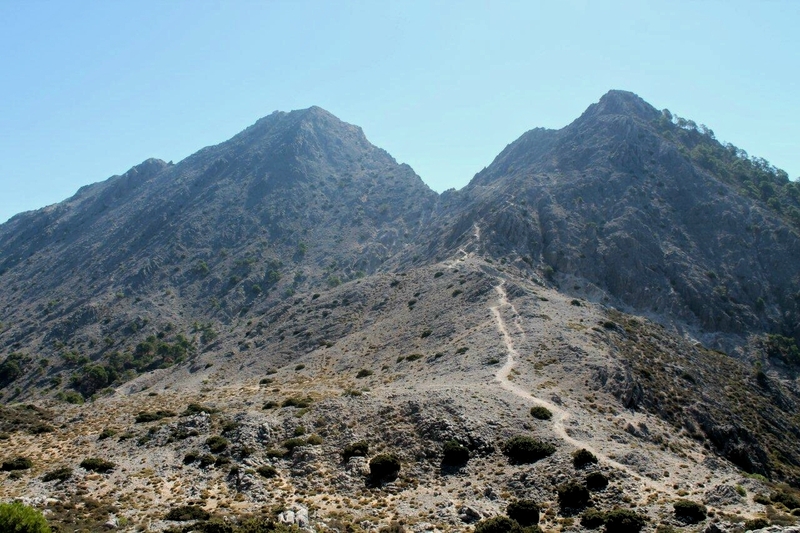 According to Davis, muleteers crossing the nearby pass of Puerto Competa had their goods impounded by the Civil Guard until they volunteered to carry cement and bricks to the summit. Still, that’s how fascist dictators worked. I don’t know if Franco got the trains to run on time, but he certainly knew a thing or two about building tracks in the mountains. 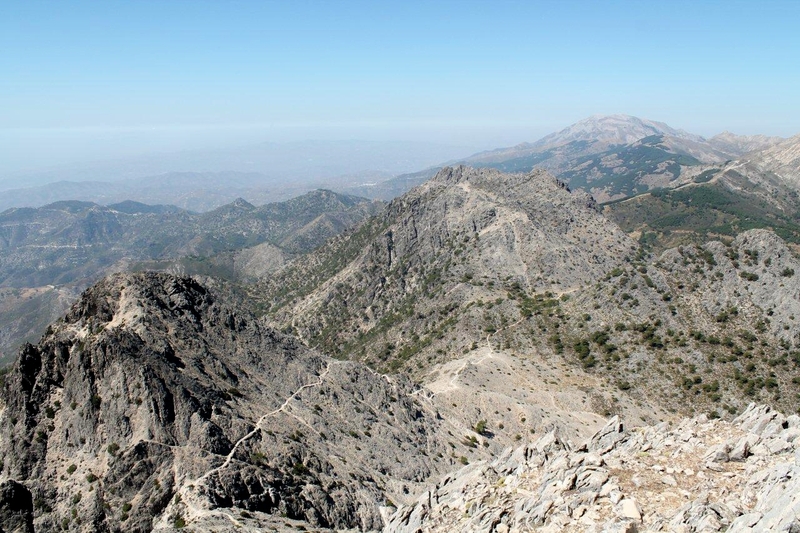 The path skirts across the steep northern flank of Cerro Lucerillo (pictured below), another little brother, and crosses the head of a deep gully before zigzagging up rocky slopes to the summit. This final pull looks daunting from below, but it’s an enjoyable climb on a good path, with terrific views all around. 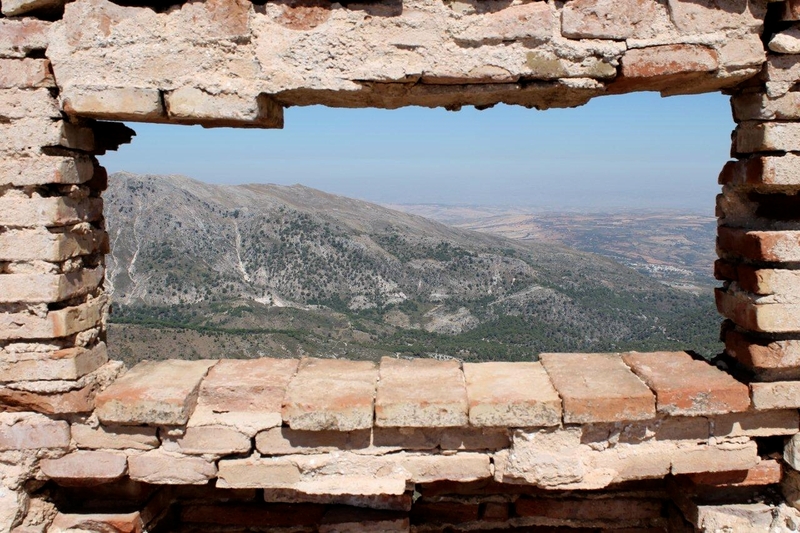 From the ruins of the guard post I gaze out over wooded, rocky mountains that stretch east to the blue ridges of the Sierra Nevada and the Sierra de Lujar. 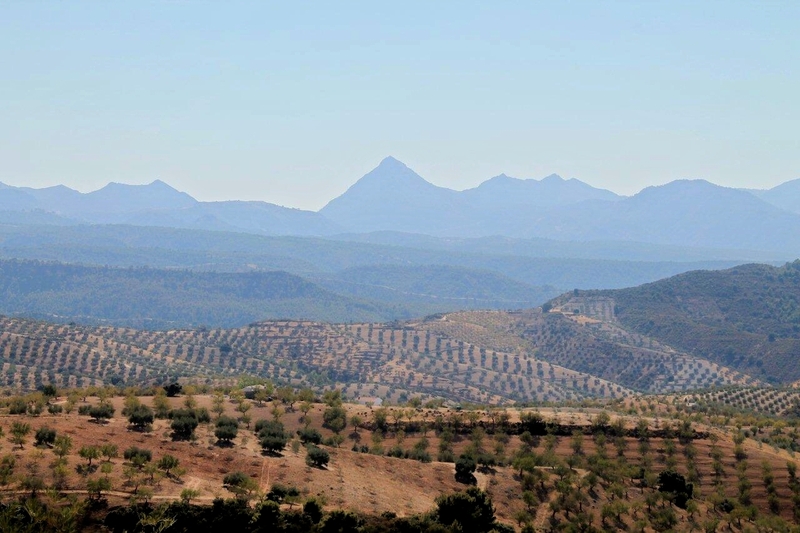 To the west, the bulk of La Maroma – the highest peak in the Sierra Tejeda – is framed by the sky. 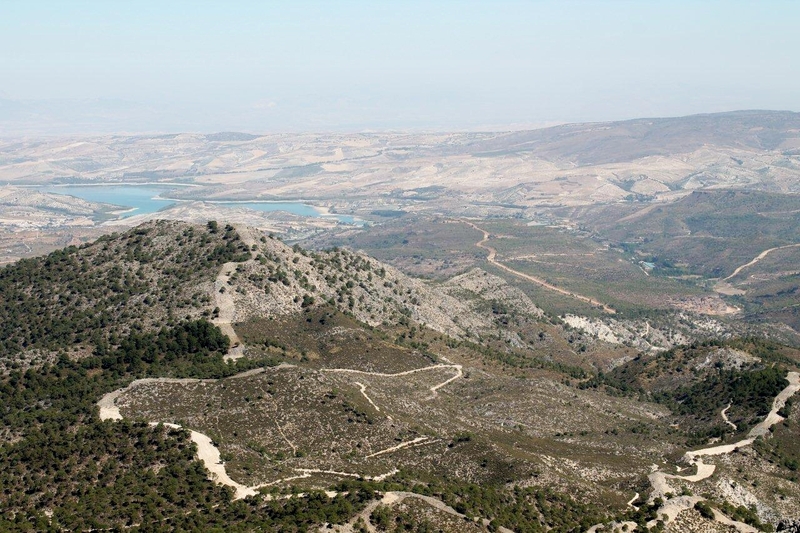 To the north, ridges descend to the forests and olive groves of Granada province, while to the south Lucero’s cliffs swoop almost vertically to the wooded valley of the Rio Higuerón. So what were the Civil Guard – Franco’s brutal frontline force against unrest and rebellion after the civil war – doing on the summit of Lucero? 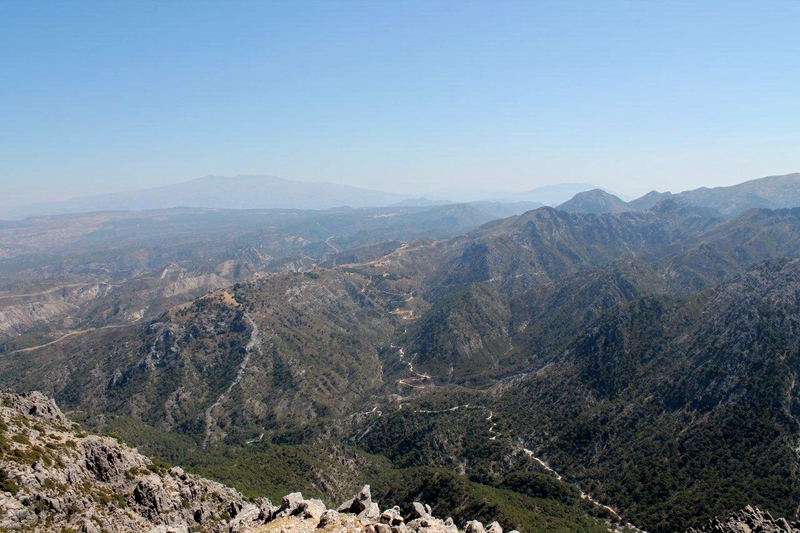 Following the outbreak of a guerrilla war in 1944, the maquis (taking their name from the rural French resistance) took to the mountains all over Andalucia, the authorities cracking down with troops and guards. 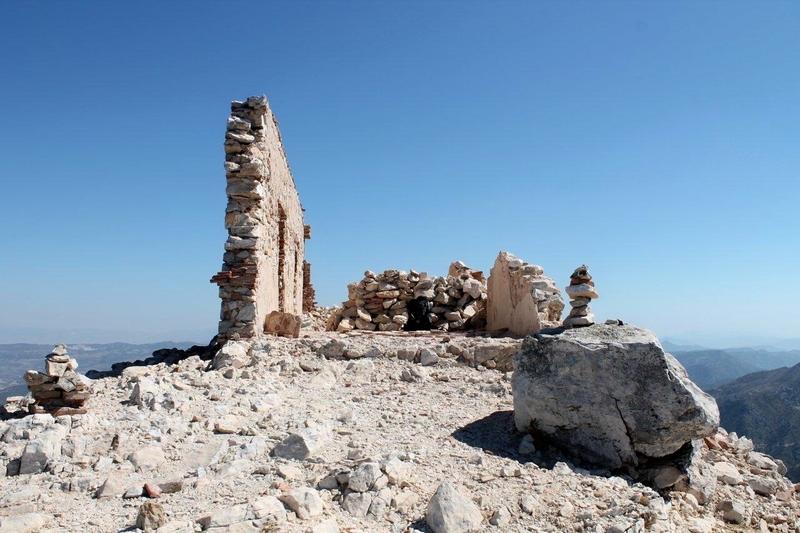 Lucero became a look-out post, from where the guards monitored guerrilla movements in the mountains below and particularly in the vicinity of an isolated inn called Venta Panaderos, which sits on a shoulder directly beneath the summit. I clamber down the zigzag path beneath the summit and edge my way out onto a spur. Gazing down the cliffs, I can see the ruins of the Venta Panaderos many hundreds of metres below. The inn (middle of next picture) was frequented by rebels and guards alike, but was abandoned in the 1950s or 1960s when the mule trail over the mountains to Granada fell out of use. By that time the rebels had all been shot, executed, or melted back into rural life – while Franco still ruled with a fist of iron, the sole remaining fascist dictator in Europe. Do you know what the easiest thing in the world is? It’s to forget stuff like this and just enjoy a good walk. It’s to lie on a beach at La Herradura a few kilometres to the south and brush aside the fact that a rebel force landed there in 1944 with the intention of liberating Spain and reintroducing democracy. Or to fly to Malaga, which I have done on a number of occasions, and ignore the atrocities carried out in its jail during the 1940s and 1950s, and the mass murder of its citizens during the civil war. It’s easy just to keep rubbing in the suntan lotion and sipping the San Miguel. There was a great deal wrong with the world back then, and there’s still a great deal wrong with it now. I’ve a feeling that in twenty or thirty years’ time, when we look back, we’ll find there was a great deal wrong with the present day and that the greed of the financial sector caused most of the world’s problems. Sorry about ending this post with a bit of a lecture. But there you go. 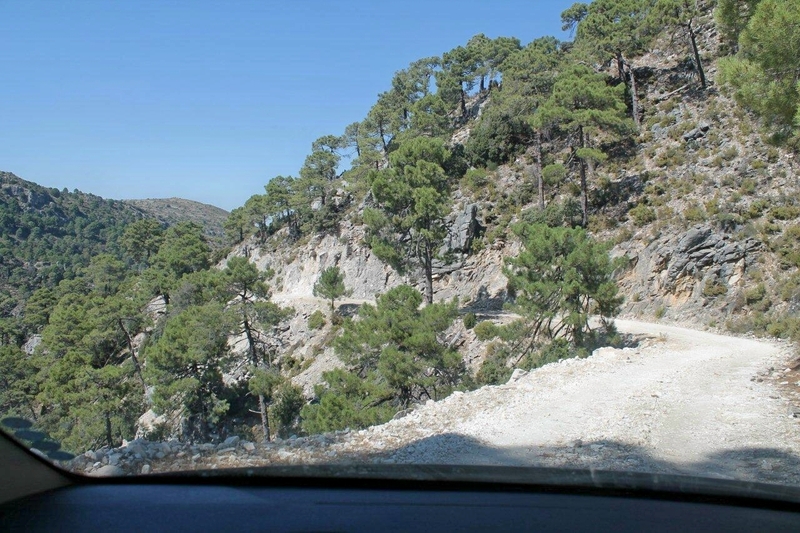 If it’s any consolation, I’m facing a 14-kilometre drive in second gear down the worst road in the world before I return to normality. My knuckles are losing their blood just at the thought of it. 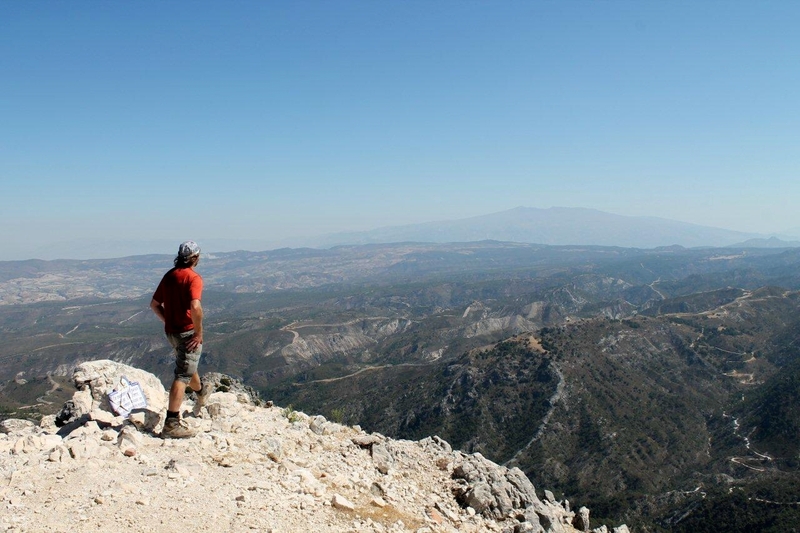 This entry was posted in Climbing, Hiking, History, Life, Mountains, Politics, Ranting, Spanish Civil War, Walking and tagged general francisco franco, Lake District, outdoors, Sierra Nevada, Sierra Tejeda y Almijara, Spain, The Lakes. Bookmark the permalink. Do you reckon a bog standard hire car would manage the road up ? Hi Alex. I see your blog’s back in action – and about time too. No, I’ve not heard of Christie, so I’m just about to Google him and become acquainted. 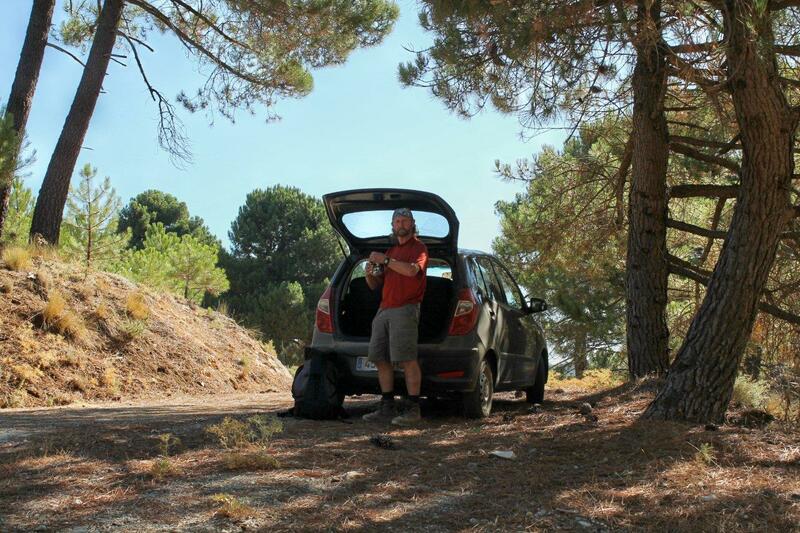 As for cars, I had the most basic hire car I could get, which was a little Hyundai from Europcar (£19 a day through EasyJet) and it coped admirably. Lots of tracks and trails thru those hills that all look in good shape. Excellent photos. Seems there are always men hauling weapons over trails in out of the way places…and then after awhile they leave, with only a bit of ruin they were ever there at all. Thanks for the history reminder Alen that we might not be blinded drinking beer. Hi Dohn. Yes. There’s a road runs within half a mile of my house that the Romans built 1,900 years ago for getting men and equipment up to Hadrian’s Wall. To look at it now with its tarmac, lorries, crash barriers, etc, you get absolutely no sense of antiquity or indication that it was built for war. It must be the same all over the world. 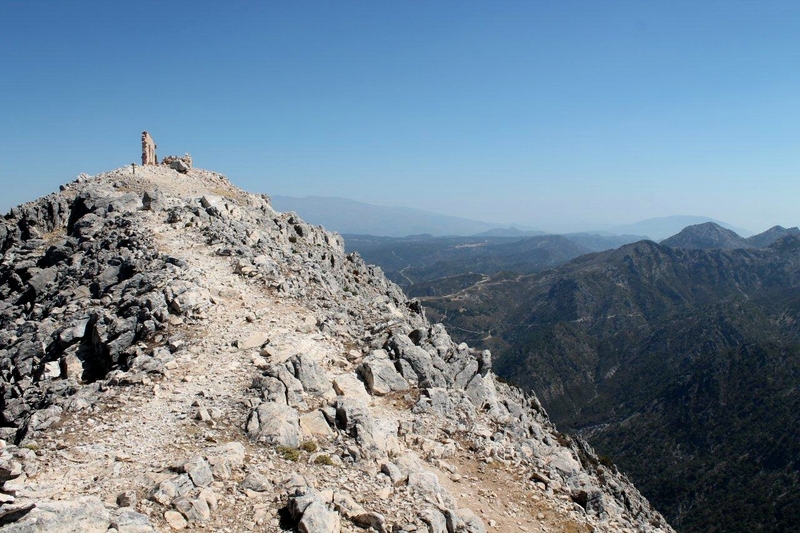 That looks like a smashing mountain walk with some cracking views from the top, no wonder it was used as an observation post. 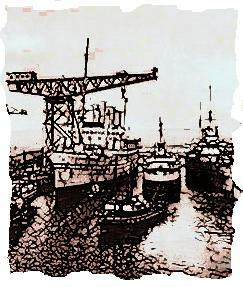 Perhaps it was even used centuries earlier when the Moors arrived, who knows? 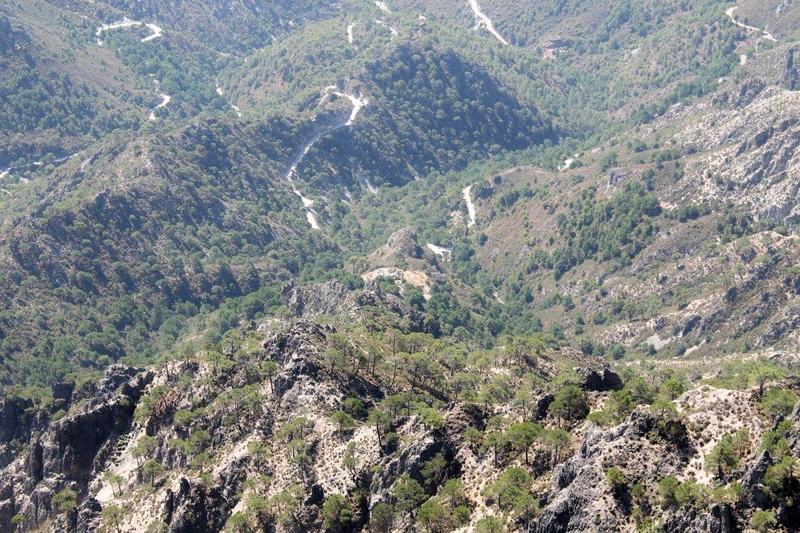 The mountains of southern Spain seem to be criss-crossed with old tracks like these. I wonder if the hire car people realise the places their cars end up in when they hire them out to walkers and climbers? You’ve got me thinking there, David, because there was a sign at the start of the summit path that had a reference to Moors on it. I can’t recall what it said, but I think it translated something like Path of the Moors. I’ve just glanced through Davis’ guidebook and he has no reference to it. I shall do some Googling when an opportunity arises. As for the hire car firms, that’s something I’ve wondered myself because I’ve taken some cars into pretty hostile country on my three visits to Andalucia. I’d certainly think twice about taking my own car along some of those tracks. What makes me laugh is you see all the 4x4s on Britain’s near-perfect roads, then you drive up unmade mountain tracks in Spain to isolated farms and villages and the people are haring around in ordinary saloons. It makes you think.